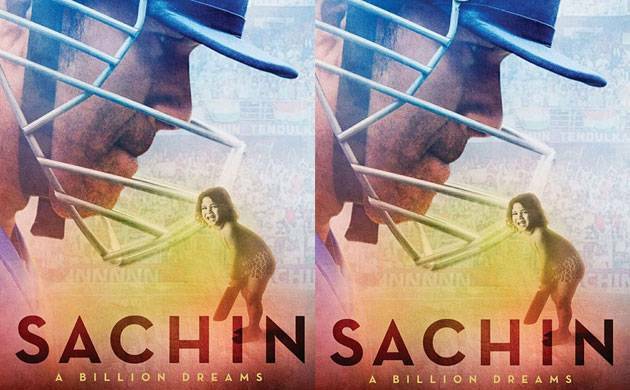 After creating a much of the buzz across the country about his biopic 'Sachin: A Billion Dreams', former cricketer Sachin Tendulkar has finally unveiled the trailer of his movie. The trailer will give a glimpse of the unusual journey of just another boy who went on to become the 'God Of Cricket' and it does hit the right chords of the heart. Master Blaster Sachin Tendulkar took it to microblogging site Twitter to share the trailer of his much awaited movie. He wrote, "The stage is set and we are ready to begin… #SachinTrailer is out now. Here it is!" The astounding trailer of 'Sachin: A Billion Dreams' will leave you nostalgic and make you relive each moment of Sachin's journey to become the shining star of the sports world. In the trailer, Tendulkar admits how he dreamt of holding the World Cup at the age of 10 and how he made his dream turn into a reality. Besides, his wife Anjali has also lent his voice in the movie revealing how the former cricketer was dedicated towards the game. She revealed that Sachin would often had sleepless nights everytime the team didn't play well. In fact, the biopic will also feature the match-fixing scandal which according to Tendulkar was the worst phase of Indian cricket. While the spectacular life of the former cricketer is the main focus of the movie, the interesting element will be the cameo of cricketer Mahendra Singh Dhoni, who will be seen expressing his love for the master blaster cricketer. The movie is slated to hit the screens on May 26 this year.